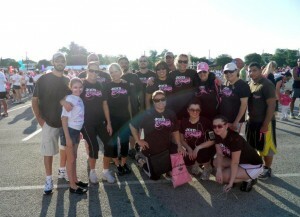 The San Antonio region participated in their Race for the Cure on Saturday, May 12th. There were 31 members of Team San Antonio & the Team raised a total of $1468 thanks to the fundraising efforts of Joey Bruce, raising $800 and Maitina Morrissey raising $668! Way to go! Thanks to the following people for participating in San Antonio’s Race!